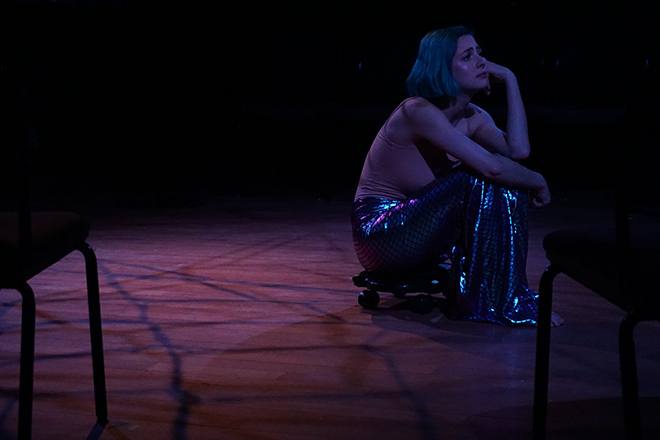 What started as a Summer Undergraduate Research Grant is coming to life this weekend - The Little Merperson, a queer rewrite of the classic Hans Christian Andersen fable, will run Feb. 23-25. 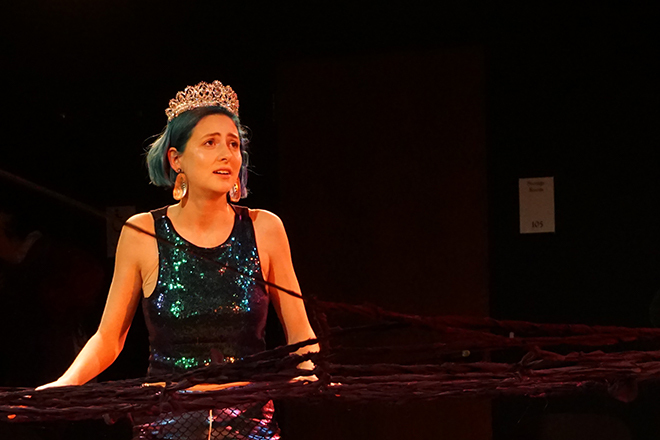 NBN sat down with Communication senior Rachel Stamler-Jonas, writer and director of the play, to discuss nonbinary representation and allyship. This interview has been edited and condensed for clarity. NBN: What was your inspiration to write and direct this piece? Stamler-Jonas: I’ve heard of some binary trans adaptations of The Little Mermaid, whether it’s from the Disney version or just the concept of the story. And I thought, ‘Well, why’s it have to be a binary adaptation?’ and I went back and read the original fable, and the actual fable often isn’t fully used. There’s a part of the fable at the end and just the motivations of the actual main character that are kind of ignored in a lot of adaptations. And the motivations of that character and the set-up of the fable actually fit a nonbinary transformation [and] a nonbinary story better than a binary one, in my opinion. NBN: How much will this production vary from the original? Stamler-Jonas: All the text is written by me, but I would say that it stays rather true to the happenings of the original fable compared to Disney adaptations or things like that. It values the [merperson’s] pain more and kind of takes a more, in my opinion, realistic approach to a magical realism story, where it takes into account a lot of the hard parts of the decision. I think a lot of the main events of the original fable are present – it’s just looked at through a queer lens. NBN: What have been some of your favorite or most memorable moments in preparing for this show? Stamler-Jonas: All of the actors I’ve cast, because every single one of them brings their unique perspective to it… Everybody had so much to say and everybody had so many insights. I’ve sat with the material for so long, having written it, but to then hear the actors say, “I totally understand this character and here’s where this character’s coming from and here’s what it means for the rest of the show,” was just stunning. NBN: Why is nonbinary representation important? Stamler-Jonas: It’s easier for someone to understand, oh, this person was designated this at birth within the binary and is now going to be on what they might view as the opposite end of the scale. But it’s harder often for people to completely discard that and say, “No, you exist outside of both of those things.” … So the show gives a metaphor and gives an individual story that people can empathize with: a character that goes through this [and] is caring and silly and emotional and vulnerable, that shows kind of this thing that’s hard to name [and] that’s hard to understand if the binary is the way that you operate. 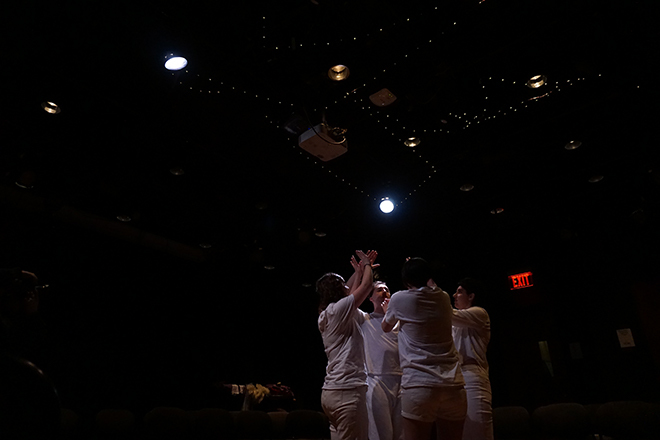 NBN:What do you hope to achieve through this show and what can Northwestern and the general public do to better understand and represent the nonbinary community? Stamler-Jonas: When I talk to people about gender, one thing I’ve heard is, “We want to do better, we want to do better, how?” And I think it starts with doing some research for yourself. It starts with looking up information and being open to learning. … If the basic learning hasn’t been done, it’s really hard to move forward. … The next thing is listening. And then when people say, “Hey, we really need this thing to change,” actively stepping up and doing that. Being an active participant. NBN: Why should someone see the show? Stamler-Jonas: There’s a song in the show that’s called “Comparable Pain,” and it’s talking about the transformation [the merperson] goes through [and] the struggle this person goes through, and I would say that there isn’t any comparable story. There’s very few representations of nonbinary individuals in theater at large, in entertainment at large, compared to representation of a lot of different other identities. This one’s unique, it’s happening right here, accessible to you, it’s free. And my goal with this, in terms of who this is for, is that it’s for everybody. … This is for people who are looking to understand, and also for people who are looking to be understood. The Little Merperson runs Feb. 23 at 7 p.m., Feb. 24 at 7 p.m. and 9 p.m., and Feb. 25 at 2 p.m. at Krause Studio in Annie May Swift Hall. The show is free. There is a content warning for suicidal ideation and depictions of gender oppression.